Ride-hailing unicorn Ola has raised $300 Mn from South Korean automaker Hyundai along with its affiliate Kia Motors to fund a strategic partnership under which the three companies extensively collaborate on building India-specific electric vehicles and infrastructure. For Hyundai the move will see it transition from a pure play automaker to a fleet operator. As part of the strategic collaboration, the companies have agreed to not just co-create electric vehicles and but also come up with solutions to operate and manage fleet vehicles. “India is the centerpiece of Hyundai Motor Group’s strategy to gain leadership in the global mobility market and our partnership with Ola will certainly accelerate our efforts to transform into a Smart Mobility Solutions Provider,” Euisun Chung, executive vice chairman of Hyundai Motor Group, said in a joint statement on March 19. 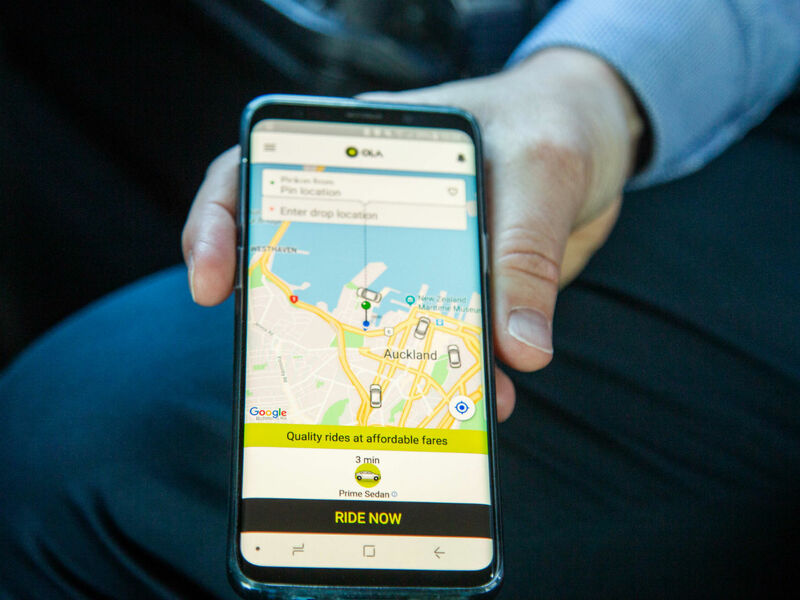 The $300 Mn funding is said to be part of Ola’s larger ongoing $500 Mn equity financing round, which has also seen the participation of Flipkart cofounder Sachin Bansal and Mirae Asset-Naver Asia Growth Fund. Olas meteoric growth has been bankrolled by new investors, which include Flipkart cofounder Sachin Bansal. Bansal had led an investment of $92 Mn (INR 640 Cr) in the company as a part of its ongoing Series J funding round. The company had also raised $74 Mn (INR 515 Cr) from its existing investor Steadview Capital, through preference shares at a subscription price of $301 (INR 20,959) per preference share, according to a company filing accessed by Inc42. The emphasis on bringing new investors on board is part of Ola’s plan to expand without taking more money and resultantly yielding more stake to its largest investor SoftBank. In 2017, Ola amended its Articles of Association to include a clause that prevents SoftBank from buying more shares in Ola without the approval from the company’s founders and board. Earlier in March, Ola had set up an independent company – Ola Electric Mobility Pvt Ltd to develop platforms and infrastructure to make electric mobility. The company also raised funding of $56 Mn (INR 400 Cr) from Ola’s early investors, Tiger Global and Matrix India among others. Meanwhile on the international front, Ola has been busy expanding globally in the last one year. In 2018 the company launched its operations in Australia, UK, and New Zealand. The company also reportedly set up teams in Dhaka, Bangladesh and Colombo, Sri Lanka. Ola was founded by Bhavish Aggarwal and Ankit Bhati in 2011. The company has a presence in over 125 cities across India, Australia, New Zealand and the United Kingdom. This wide presence of the automobile aggregator is claimed to be powered by more than 1.3 Mn driver partners across a diverse range of vehicles. As per a report by the Society of Manufacturers of Electric Vehicles, India has seen a 37.5% hike in EVs sale in 2018 as compared to the past few years. The Union Government has launched its National Electric Mobility Mission which aims to convert one-third of the Indian automobiles to electric vehicles by 2030. While the various state governments took it upon them to complement the centre’s mission with dedicated state EV policies and funds. However with government initiative moving at a snails’ pace, international automakers have hesitated to bring in their electric vehicles into the country. Instead they are adopting partnerships to test the reception of e-mobility solutions in the country.